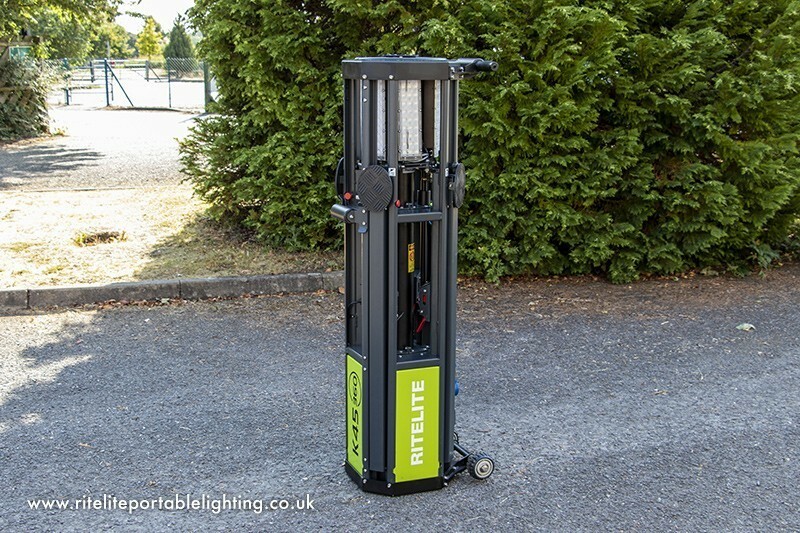 Ritelite’s portable and mobile LED lighting products provide unique solutions for lighting requirements of the Film & TV industries. 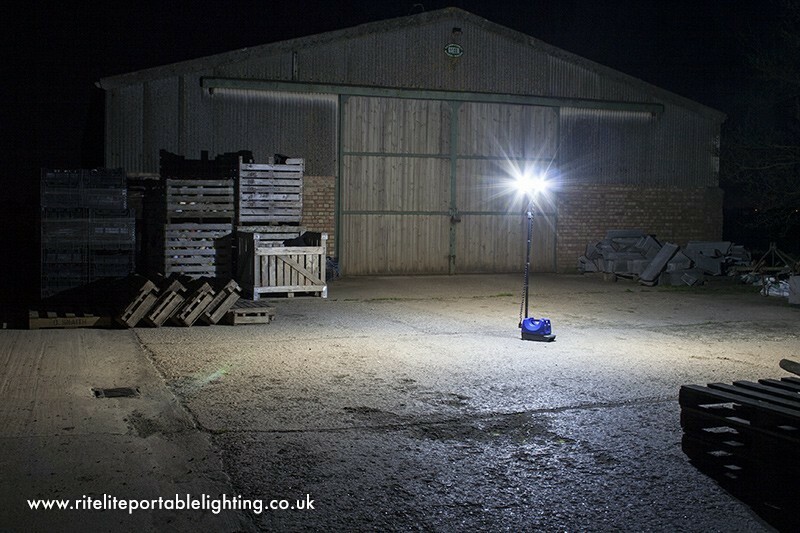 All products give immediate, flicker free, high power LED lighting in a range of ways from 180 degree directional to 360 degree area lighting. 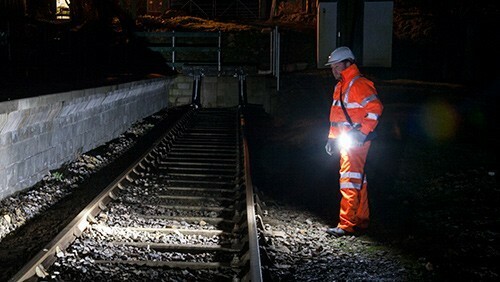 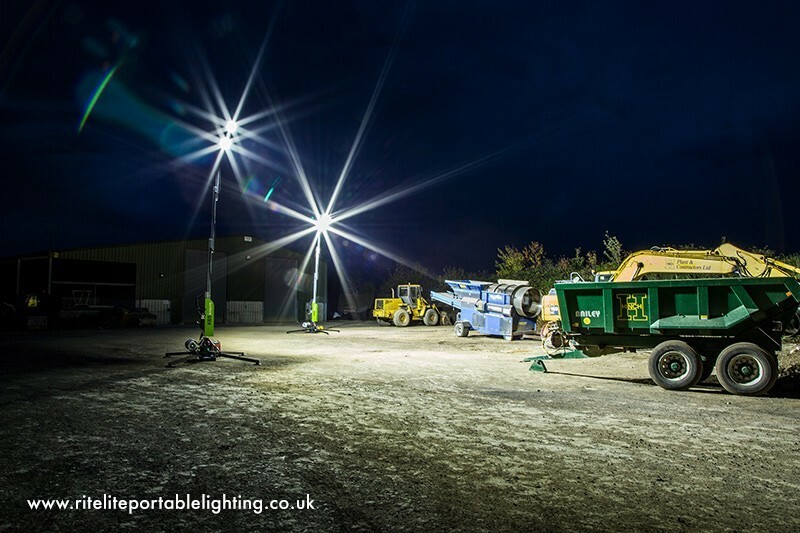 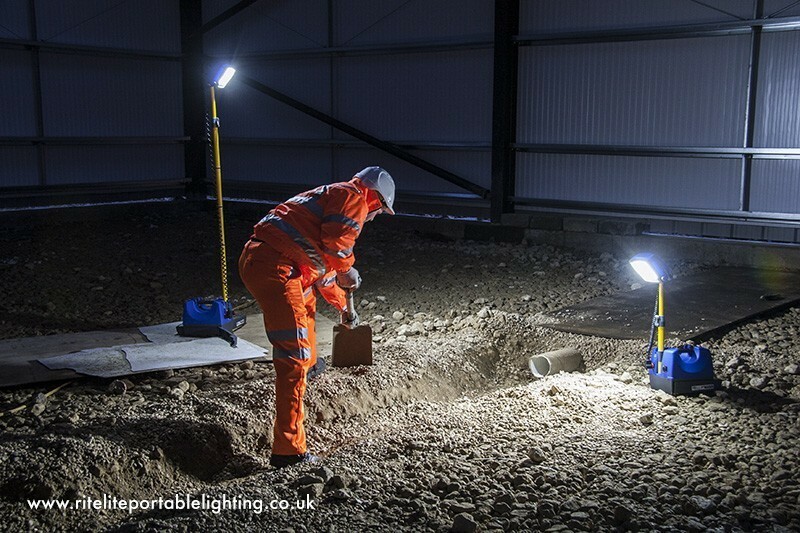 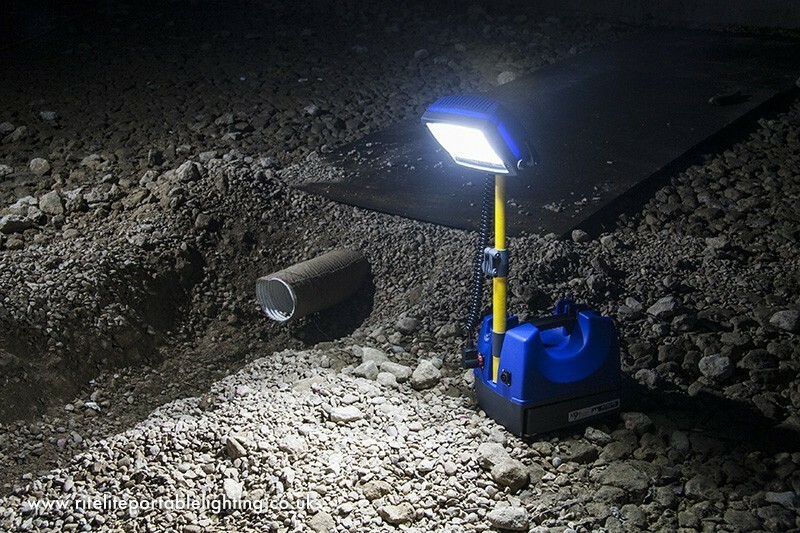 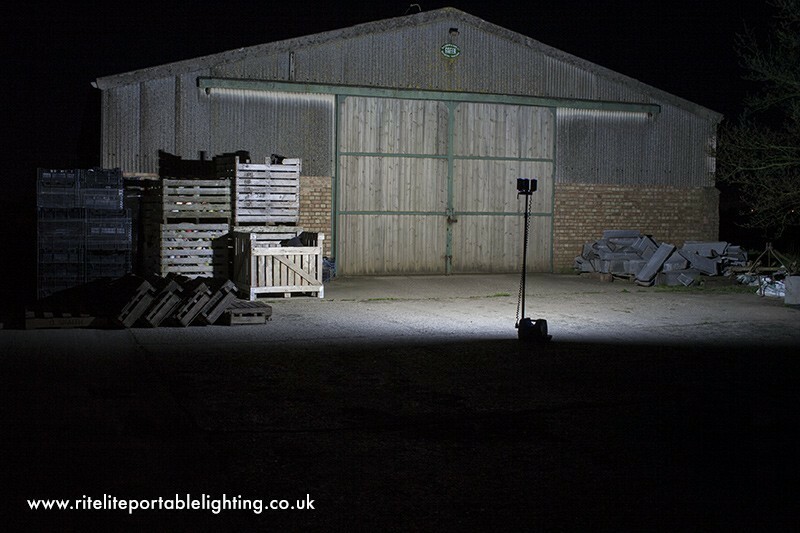 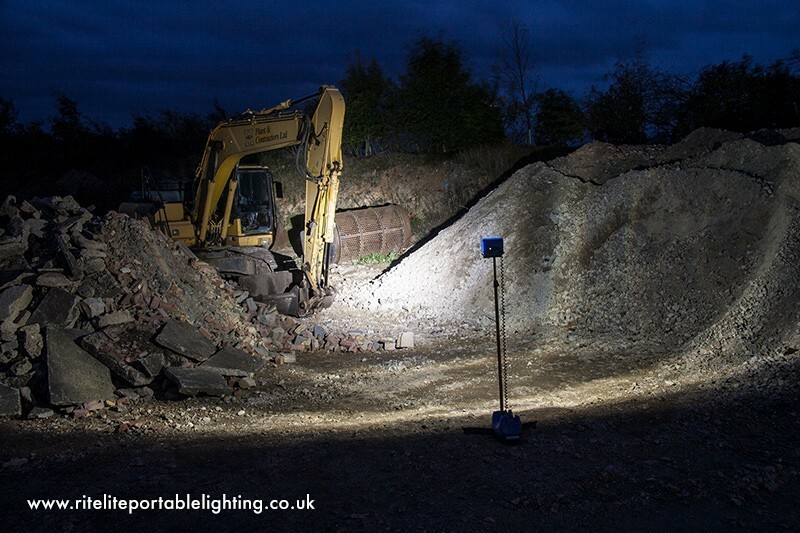 When mains powered the products are silent and all portable worklights last for a full 8 hours on 100% brightness making them perfect for working on location or areas of no power. 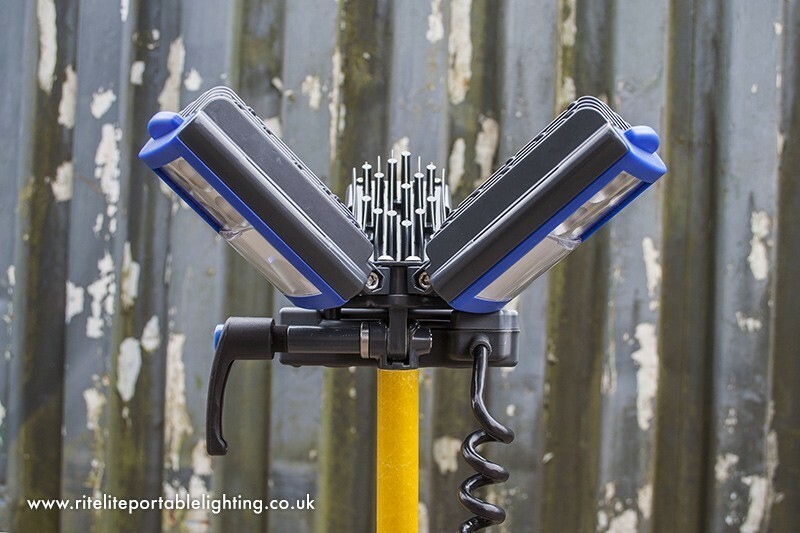 All products are robust and designed for harsh working environments therefore suitable for many film locations even in remote areas. 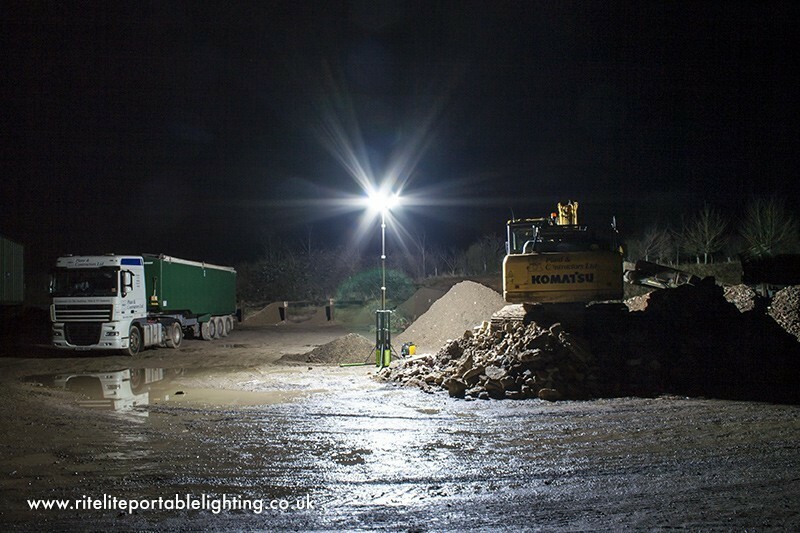 The Quad pod K50 & K60 are high power mobile outdoor floodlighting solutions for use in many applications including location and film sets. 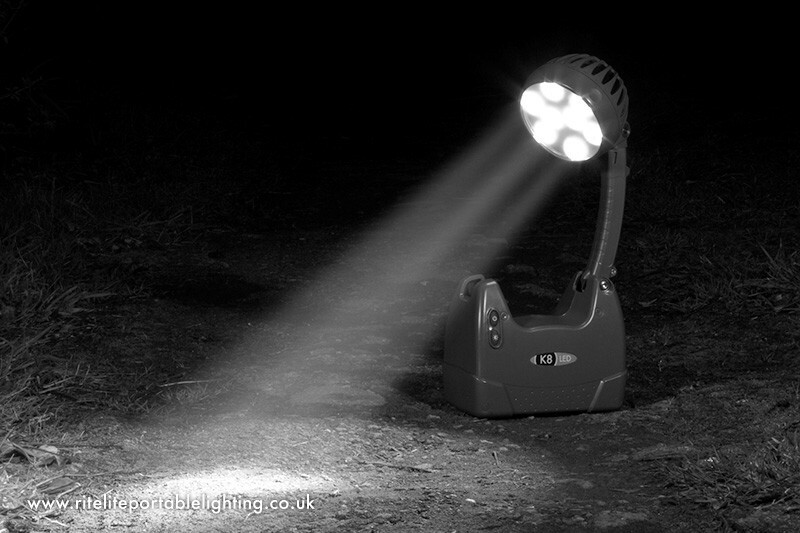 It is easily transportable across many terrains and gives instant illumination to a vast area. 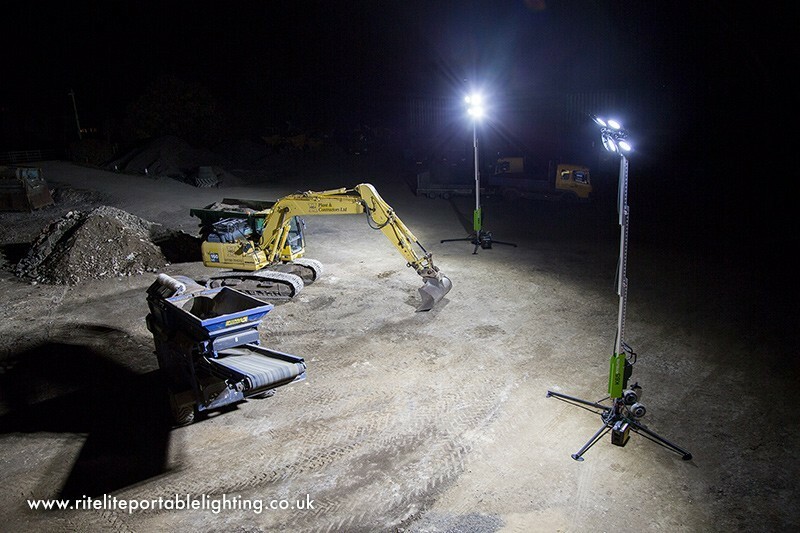 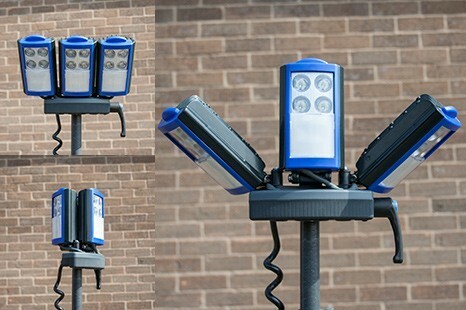 The product can be configured to meet the requirements of the application in terms of height and light output and is a great solution to many applications where temporary lighting is required. 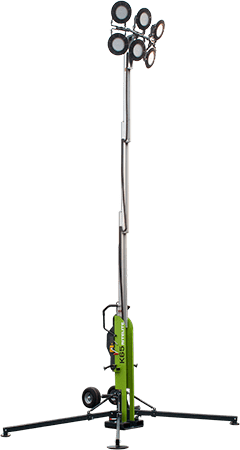 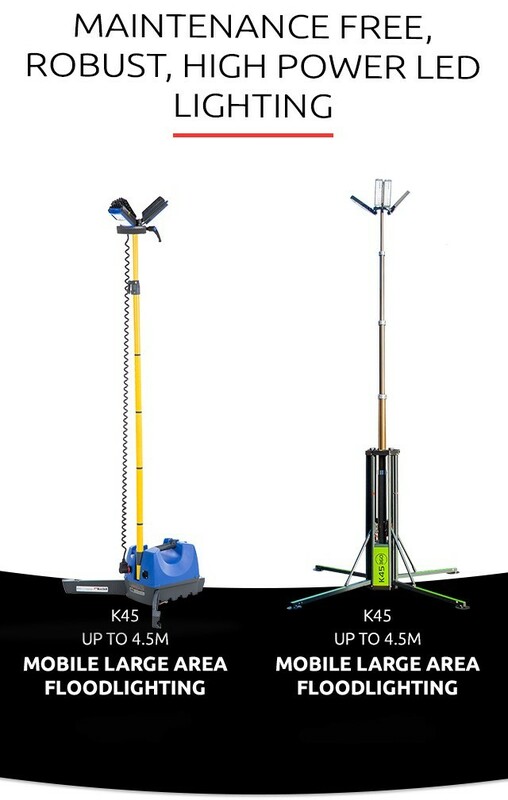 The Quad pod K65 extends to 6.5M high and the high power light heads can be easily adjustable between 180 degree directional lighting and 360 degree area lighting. 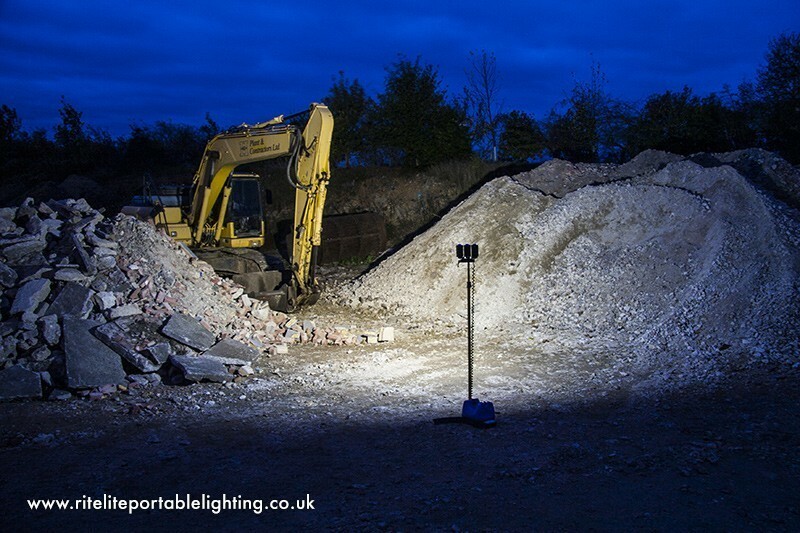 The K45 is a flexible, afforable lighting solution for a multitude of lighting applications where floodlighting is required. 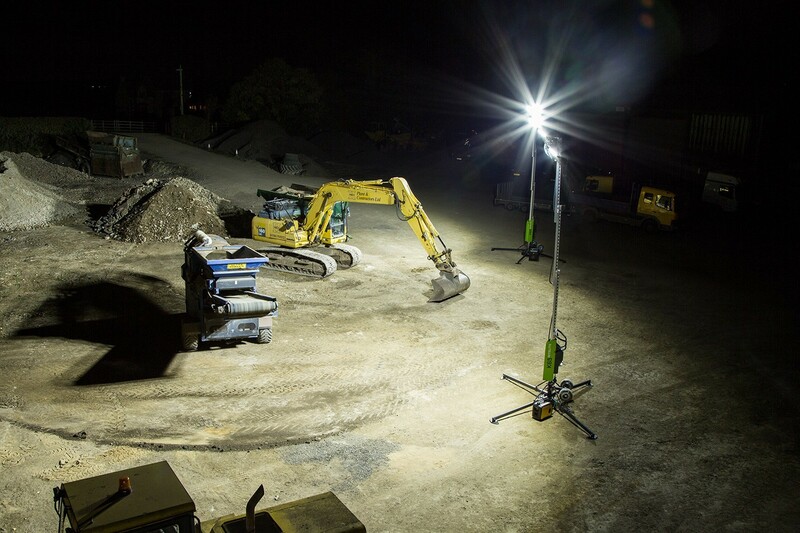 With a working height of 4.5M the K45 changes the rules of how you an effectively and efficiently depoly lighting around a location or film set. 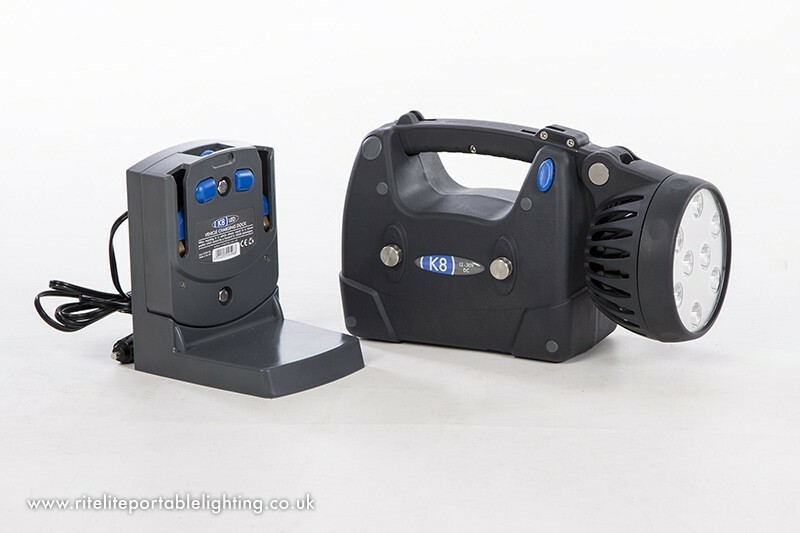 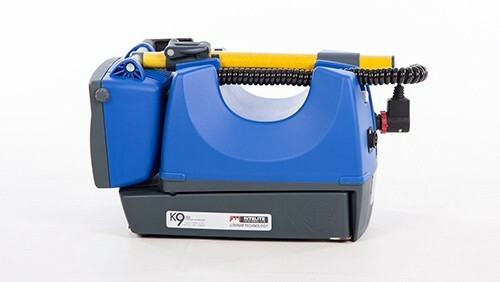 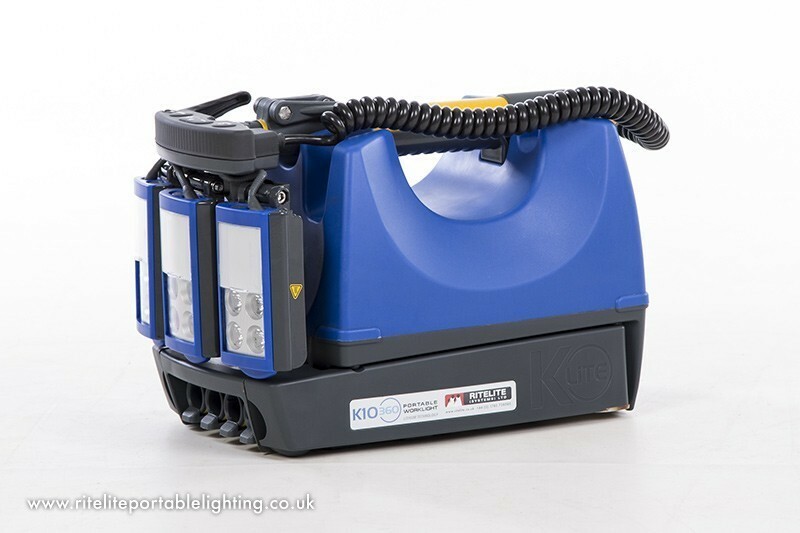 The K45 is compact enough to fit multiple units in the back of a car or van, deploys at the push of a button and gives 83,000 lumens of instant flicker free light .